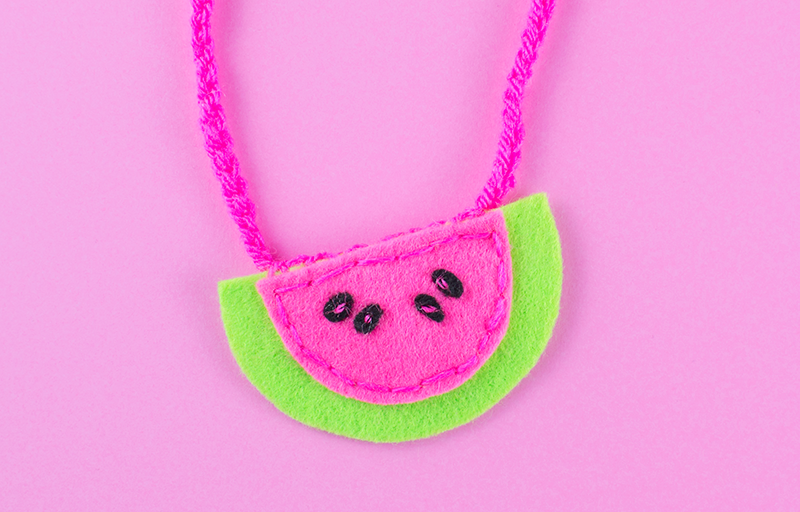 Nothing says summer like a big, cold slice of juicy watermelon. 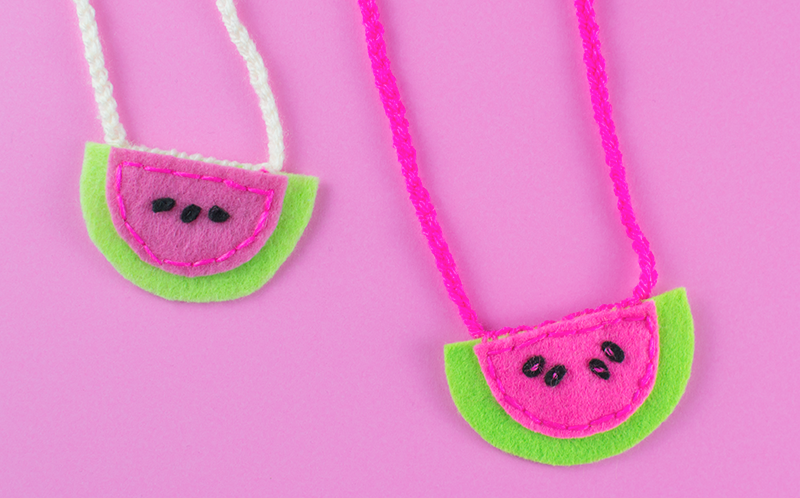 It might not be that hot here in the UK, no surprise there, but we have still been eating a lot of watermelon so it inspired us to make some felt watermelons, we then turned them into necklaces. Start by drawing around a cup or something round on the piece of card then draw a straight line across just over the half way point and cut it out. 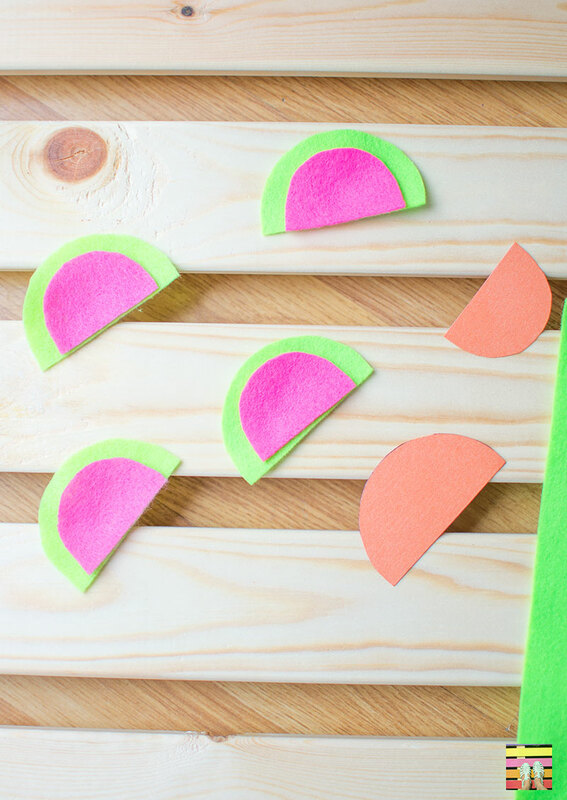 Do the same and cut an extra cm off to make a smaller piece. 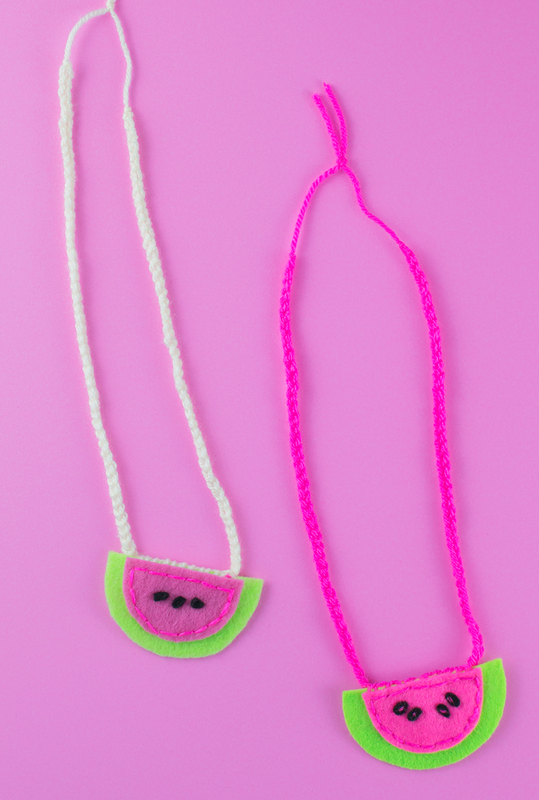 Place the larger template on the green felt and cut around it, you will need one for each necklace so make as many as you need. 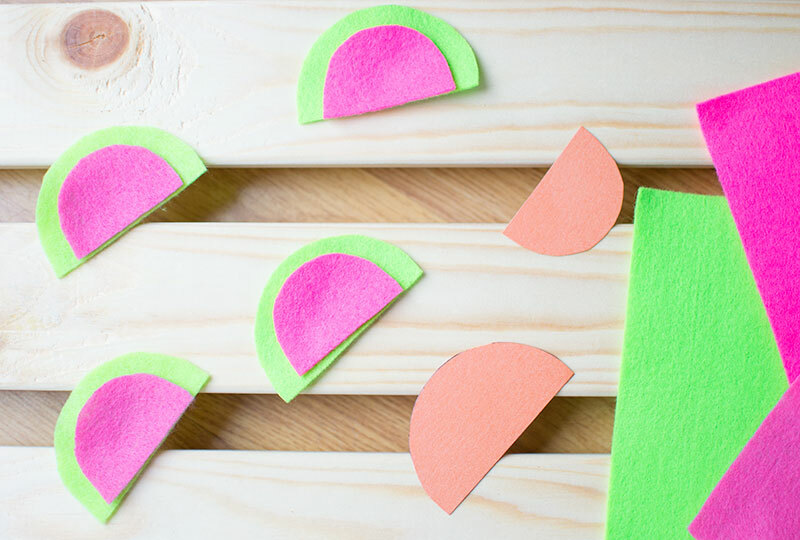 Then put the smaller template on the pink felt and cut as many as you need. 3. Stitch the smaller semi-circle to the larger one, I did this using one strand of yarn (if you rub it then you can peel it apart). 4. Then I stitched some little black bits on for the seeds. 5. 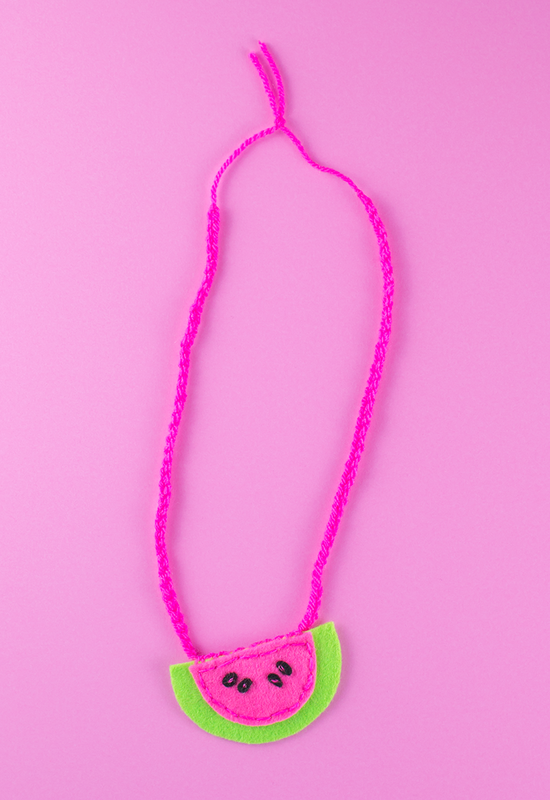 I made the thread by chain stitching some yarn with a crochet hook but you could also plait it or just use a single piece. I stitched it onto the back, along the top then tied it at the top.